Q: Which parts do I need to rebuild my handwarmer? A: The typical handwarmer rebuild project will use some catalyst material, a spring, and some carbon felt strips. For more details on how to use them, pls refer to the videos in our Youtube channel. Maximum thickness of package is 2cm, and max weight for first rate is 100G. (This means things containing bottles such as deodorizer must go Small Packet Air to USA and Expedited Parcel to Canada, and Expresspost for International. There is no tracking available for Letterpost. Average time to the USA is 8-10 working days (which effectively means 2-3 weeks from time of order). It can take longer however, and 3 weeks is not unheard of. Do not make payment if you are unable to wait this long, and we will cancel your order. Insurance is not an option for Letterpost shipments. There is no action that can be taken in the event of non-delivery. We cannot start at trace on our end, because there is no tracking number. Our packages are sent with the correct CN-22 customs compliance information on it so it should not be held up in customs. Q: My shipment has not arrived, is there some sort of tracking? A: If you chose to select the optional method of shipping when you made payment and paid the extra $12.50, then you received a tracking number from Canada Post when your shipment was keyed into the software. You can go to the Canada Post website and track your shipment using that number. If you did not specifically pay for tracking, then no, there is no form of tracking that can be done on your package. Q: I did pay for tracking, but deleted the tracking information. A: Then you can refer to the shipment image that was sent to you when we shipped your package and get it from the label image. Q: I think I deleted the shipping image as well. A: After 3 weeks have gone past, you can send us an email asking for more instructions on how to file a service ticket, and we'll look into it. If you have not allowed 3 weeks to go past since the date your shipment was sent out, the request will be deleted and no further action taken. Q: Is the tracking method of shipping faster? A: No. It actually takes longer. Why? Because packages with bar codes have to run through scanners on mechanical conveyor belts at every substation they pass through. Letterpost packages all go into bins on wheels. These bins do not get scanned, so they get rolled directly onto the next truck or plane that is departing the facility for the next of the journey. The tracking number does not seem to help much if the parcel goes astray either. We had one that was still not received after 6 weeks, so we tried to launch a ticket with the post office. The standard reply is something to the effect that once you file a service request, the response time is up to three months. I get the impression that most buyers think a package with tracking will be a: faster, and b: less likely to get lost. In fact, I think the opposite is closer to reality. Q: I submitted the form last night but haven’t heard anything back yet to make payment. A: Orders are processed manually. Usually you will receive a payment request within one business day. If you do not hear back in 72 hours, send us a note. Q: I'm wondering if my order got through to you. I think I've placed it twice using the order form, but I can't tell if either has gone through successfully. Q: Can I use the springs to rebuild my Jon-e? A: Yes, the springs that we have to fit the common handwarmer brands that use the traditional catalyst head design where the head is not longer than 30mm, including Zippo, Jon-e, Peacock, Butterfly, Bee, Winfire, etc. We also have available a larger, heavier spring that can only fit the larger Jon-e catalyst heads. Q: Should I repack my entire reservoir with carbon felt or just put strips on the top of the existing cotton? A: For most, the strips are the best option because they stop the cotton from getting charred. If you existing cotton is already charred, just removed the charred bits first. The reason to repack the entire reservoir would be for a slight increase in burn time and heat performance, or if the original cotton is old, contaminated, or damaged. If you have to remove some cotton, then increase the number of strips you stuff back in so you get back to the original height of the cotton that was previously in there. Q: When I fill my handwarmer, it leaks liquid fuel, what should I do? A: What you should do, is quit overfilling it. This can be done be measuring your fuel before you fill your reservoir. Think of an analogy using a product that is also made from absorbent material that may be in your first aid kit if you are an outdoor specialist: an ABD pad. Abdominal Pads are filled with cellulose fibers, making them super-absorbent. The fibers quickly absorb and disperse fluids laterally, to prevent pooling and maceration. The backing is constructed of a hydrophobic material, preventing strike-through. (And that is why some people substitute diapers for ADB pads.) In the case of an ADB pad, I hope to limit strike-through of fluids by applying a clotting agent such as Celox crystals before it can no longer absorb fluids. If that does not work, fluid will start to escape. Think of your hand warmer's reservoir not like a gas tank in a car that is meant to contain liquid while it sloshes around, think of it like an absorbent pad that spills over when it can no longer absorb fluid. Q: How high should the carbon felt be? A: It should be even with the height of the shoulders of the reservoir, which would be about the same level as the original cotton. The neck should be an empty space and the carbon felt should not be in contact with the catalyst. Q: My question is what are the measurements of the 2 small carbon felt strips that you sell? A: When we cut the strips we aim for approx 1"x2", which is suitable for cutting into 1/2" x 2" pieces for placing on top of the cotton packing in an existing handwarmer. This means you should be able get 4 strips to place on top of the cotton in your reservoir. If your handwarmer is new, one stip will be sufficient to protect the cotton. If it is old and the cotton is already charred, you may need more than one to get the level of packing back up to where it was. Q: Why can't I use other flammable liquids such as alcohol or solvents in my handwarmer? A: Because a handwarmer does not burn fuel. The platinum that is in the catalyst material reacts with the vapour from the evaporating naphtha exothermically which produces heat. The fumes from other substances will not react with the platinum in the same way. Q: Why does your catalyst not look like the catalyst in my Zippo? A: The Zippo catalyst, by the looks of it, is presumably made in China. We have analyzed some of the Chinese pads that we sourced from different suppliers. For the Chinese handwarmer replacement pads, we are looking at a substitution of Palladium in place of Platinum (for budgetary purposes), and the inclusion of Fe—not sure what the purpose of this is. Palladium loading is between .5% and .8% by weight. Our pads have a loading weight of 1%, but it is pure platinum in ours, which is made in the USA. The raw material cost of our pads is much higher than the Chinese pads (we have a more expensive metal to start with and a higher loading), but Platinum is less susceptible to contaminant poisoning which should increase the longevity of the material. Q: After ordering and installing the springs and carbon felt in two Zippo hand warmers, I still can’t get them to light and burn. I filled them with Ronson lighter fluid in the correct amount. Does the packing in the base need to touch the catalyst? I thought it worked on the principle of evaporation. Any suggestions on what I might try to make them work? * Q: How much catalyst is required to pack a spring? A: For the standard size spring, a piece no larger than 1/2" x 1.25" is sufficient. More is not better. Grasp the piece longitudinally between tweezers and then slide it into the spring, then tuck the protruding pieces of the catalyst into the ends of the spring. Q: John, A friend is having problems with his rebuilt ZIPPO. We shared the parts I ordered. When he goes to light the warmer the catalyst flames up and the hand warmer does not get very warm at all. I’m guessing the catalyst is contaminated by touching the carbon felt? If it gets contaminated then is the catalyst junk or just need to be dried/aired out? A: The flame is clear evidence of the catalyst getting contaminated with liquid naptha fuel. Of course we've all done that. I've found with the catalyst we use, it does work after it has been left to dry out for a day or so, but seems to not perform as well after it has been contaminated. I discussed it with our catalyst manufacturer and he said in theory, liquid fuel contamination should not harm the catalyst and it should be fine once dried out. You may noticed however that it has turned a darker brown, and appears to be 'punky' in texture (like punky wood). When that happens to me, I just bite the bullet and pull the spring and replace the catalyst. Doing so reinforces the reminder to me to be careful when I'm refilling. In order not to overfill now, I always use a measured amount of fuel from a refiller bottle, normally about 25ml for the standard handdwarmer. Also remember that once you have placed the burner cap back onto the handwarmer, keep the handwarmer in an upright position so liquid fuel does not drip from the reservoir into the catalyst. Let it sit for 5-10 minutes before lighting, and once it is light, try to keep it upright for awhile longer (even when placing in pocket). Q: The evaporation of the naptha results in the release of methane. Methanol is converted to formaldehyde, which is bad for human health. Should I be concerned? A: The naphtha fraction from the distillation of crude petroleum is used as a raw material for the manufacture of methanol. The first gas to result from the evaporation of the naptha is methane, which does not condense at room temperature and that makes it suitable for using in a hand warmer. Methanol is converted to formaldehyde when it undergoes a dehydrogenation by catalytic oxidation. Industrial production of formaldehyde uses different methods of production such as silver catalyst, or other metal oxides such as an iron-molybdenum oxide catalyst. You may think of your hand warmer with its platinum catalyst as a non-industrial anthropogenic formaldehyde production facility. When you have an oxidizing atmosphere consequent of oxide catalysts the primary products are methyl formate and formic acid. Consecutive reactions of these products then form methanol, CO, and CO2. (Formaldehyde emitted to air primarily reacts with photochemically generated hydroxyl (OH) radicals. Products that can be formed from hydroxyl radical reaction include water, formic acid, carbon monoxide and the hydroperoxyl/ formaldehyde adduct (HCO3)). To put this into perspective, it is interesting to note that under many conditions, the radicals from formaldehyde photolysis are the most important net source of smog generation. The moisture in your pocket is probably the result of the warm air in your pocket ecosystem causing condensation to form on the cold walls of your pocket. You may be able to address this by using clothing that breathes better such as Gore-Tex fabric. - Formaldehyde is a gaseous pollutant produced by both human activity and natural sources and we are exposed to it all the time. 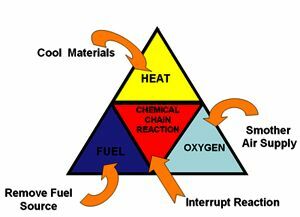 Combustion processes account directly or indirectly for most of the formaldehyde entering the environment, and include your wood burning fireplace, your furnace, cooking your food, automobile exhaust, building materials, consumer products, and tobacco smoke. Secondary atmospheric formation frequently exceeds direct emissions from combustion sources, especially during photochemical air pollution episodes as noted above, and it may contribute up to 70-90% of the total atmospheric formaldehyde withal. - Consumer products containing formaldehyde are many (such as medicines, vitamins, cosmetics and preserved foods), but are mostly aqueous solutions. - Formaldehyde is quickly broken down in the air, usually within hours. When I do a Google search, I cannot find any data regarding formaldehyde concentration from hand warmers, but of course there is lots regarding cigarette smoke. In the main stream smoke of various kinds of cigarettes the amount of formaldehyde varies between 2.3 to 6.1 ppm. In the air of lounges in hospitals formaldehyde concentrations up to 0.19 ppm can be detected after smoking of 15 cigarettes over a period of 1.5 h. In kindergartens without tobacco smoke the formaldehyde concentrations in air range from 0.005 to 0.01 ppm. The smoking of 30 cigarettes and one pipe in a non ventilated room over 1.5 h exceeded formaldehyde concentrations between 0.21 to 0.45 ppm. - When you breathe air containing formaldehyde, most of the formaldehyde is quickly broken down in the cells lining your respiratory tract and breathed out. Only at high levels does formaldehyde enter your blood. - Once in your body, formaldehyde is rapidly broken down into other chemicals. Most of these other chemicals quickly leave your body in the urine. Formaldehyde can also be converted to carbon dioxide and breathed out of the body. - With regard to your concerns about exposure to formaldehyde from your hand warmer, it's probably best to consider how much exposure you are subjected to in light of the above. I probably would prefer not to sleep with both my head and my hand warmer inside my sleeping bag at the same time, nor would I place Hammy, my beloved pet hamster (who generates enough power with his wheel to keep this computer going), in my coat pocket alongside my handwarmer to keep him warm. Q: So are lithium batteries the best to use in the S Boston hand warmer? A: For general use I'd use a rechargeable NiMh cell such as Eneloop's. However with those you must remember that the handwarmer is an analog device so it has the potential to fully discharge the batteries and kill them, so be sure to recharge once a week. This also helps with ignition because fully charge NiMh has a higher voltage. Lithium primary cells such as Energizer Lithium would be what I'd use if I was going travelling where I could not recharge batteries. Q: I still have some questions, can you call me please? A: I sometimes get voicemail where the caller has a question and asks for a call-back. A growing number of end users seem to have common questions that have either already been answered in the videos, the FAQ, or are self evident. For questions that have not been covered, then it's best if the entire community can take advantage of the answer. So it's best to email your question, then I can cut and paste the question and the answer into the FAQ for everyone to benefit from. Q: I don't have Paypal (USA/International), or electronic banking (Interac/Canada), can I send a cheque? A: No, we do not take cheques. Why? Because they are a pain for many reasons. Our US Bank account is in the USA, but we are located in Canada. They take weeks to arrive and by then stock may have run out, or we have to hold stock and find the buyer changed their mind and never notified us. Once the cheque arrives, we have to take it to the bank and stand in line to deposit it, or mail it again to our US Bank account for deposit, and pay postage and a fee for doing so. The cheque then takes a couple more weeks to clear, and when it does, the buyer also pays the bank a fee for processing the cheque he wrote. If the cheque bounces, our bank then slaps us with a harsh penalty. That's a lot of effort for an instrument that may represent a few bucks in profit margin. I appreciate that there are many 'boomers' from my generation that have reservations about using electronic forms of payment but still want to be able to order goods online. Usually the best solution for that is to wait for Facebook, Instagram, or Candy Crush to go offline for a few minutes and use the opportunity to get one of your younger extended family members to remove their earbuds or bluetooth headphones for a few minutes and help out by using their electronically enabled account and then pay them back. Q: I don't have a Paypal account, and I'm not going to start one, why not take debit or credit cards? A: That's fair enough. Paypal was created to service the needs of online shoppers. Our service is an online service. There are other online payment providers, and we have tried some, and they have proven to be more problematic than Paypal (EG: Google Wallet). If you do not shop online then your alternative always remains using a brick and mortar outlet to source your goods. We used to take credit cards, but processing a credit card or debit card in a foreign currency (we are in Canada) increases our costs and labour to process the order. As many small orders may be as low as $15.00, it is not practical to to spend even more of our time and pay even higher fees to make a profit of a couple of bucks. Starting a Paypal account is not really that difficult, but if you do not want to start one, that is totally up to you. If you do start a Paypal account, it must be funded by your Bank Account and not your credit card. If it isn't then it is not eligible for our cheapest shipping rate. Also if your Paypal account is not verified, we cannot ship to you until it is. Again, these measure are not difficult to achieve. If you are unable to fulfill this criteria, then it is a waste of your time to fill in the order form, as it will not be eligible for order fulfillment. Q: I do not reside in Canada. I don't know you, and you might be a scammer, what sort of purchase protection do I have? A: If you use the cheapest shipping method, then your only recourse to deal with being scammed by a Canadian is an extradition treaty (referenced above). Or you could wait until my plane has to make a stopover in your country and have me arrested in the transit lounge. However, if you paid via Paypal and choose to use the more expensive shipping method that provides for shipping via a tracking method, then you have buyer protection. Not receiving your package within 5 days of it being shipped, is not an indication that you have been scammed, even if you went with the tracking method. If you want to know my travel plans, sign up for the Twitter feed. If your country does not have an extradition treaty with Canada (EG: you are North Korean), you'd be best advised to source lightly used platinum catalyst material at the souvenir shop located across from Starbuck's in the foyer of your local nuclear power plant.